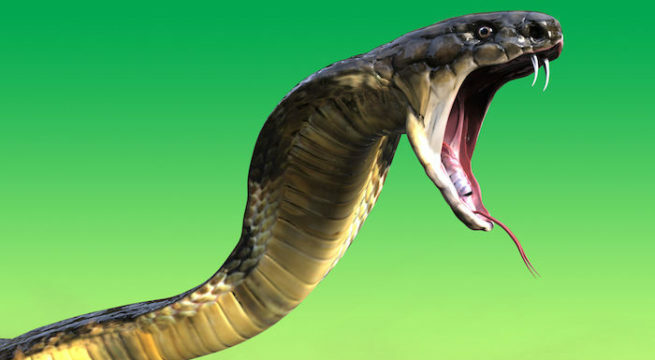 A deliverance pastor in Abuja, Nigeria’s capital city, who was recently attacked by a mysterious big snake, says no form of attack will stop him from preaching the gospel of Christ and restoring destinies of the oppressed. An eye-witness told this reporter on Thursday that the pastor organised a thanksgiving on Saturday, praising God for His ”marvelous works” in his life and family. Our source said the pastor, Levi Ogbonna of the House of Restoration in Jikwoyi, Abuja, has not been finding it easy in the area since he began the deliverance ministry. ”He occasional receive phone calls from persons who hid their numbers, warning him to back out. But he keeps insisting that he was called by God to set the captives free”, our source who is a member of the church said. Ogbonna was recently said to be attacked by a mysterious snake after retiring home to his house in the Orozo area of the capital city at around 7.00pm. He attended to some deliverance seekers. ‘’He was about going to bed at about 9.45pm to rest himself for the Sunday service when an intense barking from his security dog drew his attention. He looked through his window only to notice that the barking dog was retreating into the compound. ‘’On a closer look, the cleric noticed an invading large snake heading towards his sitting room door’’, the eye-witness said. Continuing, the eye-witness said the pastor quickly reached out to his anointing oil and reminded God of His covenant of protection. ‘’He poured the oil on the floor near the sitting room door and requested that the arena be made very uncomfortable for the snake. ‘’After a while, there was a big bang at the metal door from the snake. I was scared but Pastor Levi did not appear to be shaken. When we look through the window later, the monster was gone’’. Efforts to get Pastor Levi Ogbonna for comments on Thursday did not pay off as he was said to have gone to the mountain for a prayer retreat. The cleric is running a small, but growing church ministry devoted to deliverance and restoration. He is an Assemblies of God ordained pastor, who promised his late father and grandfather to press on with the legacy they left for him. The ministry holds services on Friday morning and Sunday evening, while their counseling holds on Wednesday and Saturday. It is an interdenominational para-church organisation.